Where: Centenary Parl, Corner of Daly Street and Hardey Road, Belmont. Pack a picnic and head out to Centenary Park to watch the sequel of My Big Fat Greek Wedding where Toula and Ian are facing another big Greek wedding alongside their teenage daughter. Where: Garvey Park, Fauntleroy Ave, Ascot. Relax by the river at tranquil Garvey Park and enjoy great family fun with the animated favourite Zootopia, a mammal metropolis where animals live and thrive. Rediscover your neighbourhood with a laneway event featuring a live DJ, pop-up activities, plenty of space to just chill and delicious local eats. Jupp Lane off Kooyong Road will be partly closed down for one night to eat, play, lounge and concert. Bring your picnic along and enjoy a beautiful afternoon at Tomato Lake, soaking in the sun while you listen to the talented Jazz music played by Adam Hall and the Velvet Playboys. Perth Swing Dance Academy will also make an appearance. The Festival Finale has an exciting array of activities including free carnival rides and an international food festival where you can munch on delicious food from across the globe. Children are also treated to face-painting, a game vault, Freedom Fairies and roving entertainment. Don't miss out the opening of the concert with a celebration of Aboriginal and Torres Strait Islander cultures with didgeridoo player Derek Nannup and the Wadumbah Dance Group. 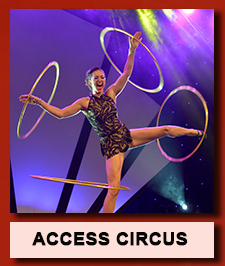 Other fantastic performances include The Fisher Boys (finalists in the 2015 X Factor TV show), Access Circus, Dangerous Delights, Billie Court (from the Voice), Beleza Brazilian Dancers and the Dream Girls. These memorable acts will be followed by the Perth Airport fireworks spectacular to end the evening. Join in a tour to increase awareness of Aboriginal culture, heritage and connection to the land. Presented by Switch your thinking, this hands-on workshop will demonstrate that cleaning can be effective as well as environmental and budget friendly, arming you with a basic understanding of household science and a spray bottle full of natural alternatives to toxic and expensive cleaners. 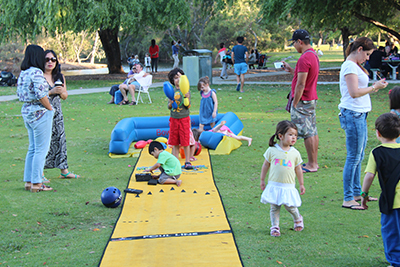 Get a taste of what's on offer at the Belmont Oasis Leisure Centre with a gold coin entry. There will be music, prizes, games, giant inflatables and activities all afternoon. Together with the Aboriginal and Cultural and Linguistically Diverse Community, a barbecue will be held at Volcano Park to celebrate Noongar Kambarang Session and observe International Day of Tolerance (celebrated on 16 November). Enjoy a free puppet show, music and dancing with a special appearance by Bella, the Library Bear. Suitable for children aged 18 months to 4 years. Bring your favourite teddy to join in the excitement.